After a brief hiatus (the delivery of my phone was delayed) – Tech and Trainer Thursdays is back! 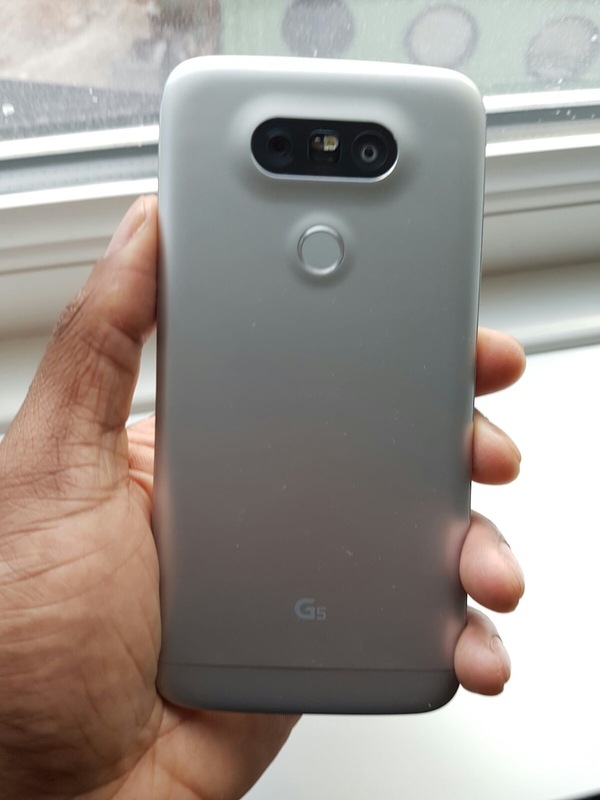 My latest tech acquisition is the LG G5 – potentially the first in new generation of smartphones. What do I mean by this? 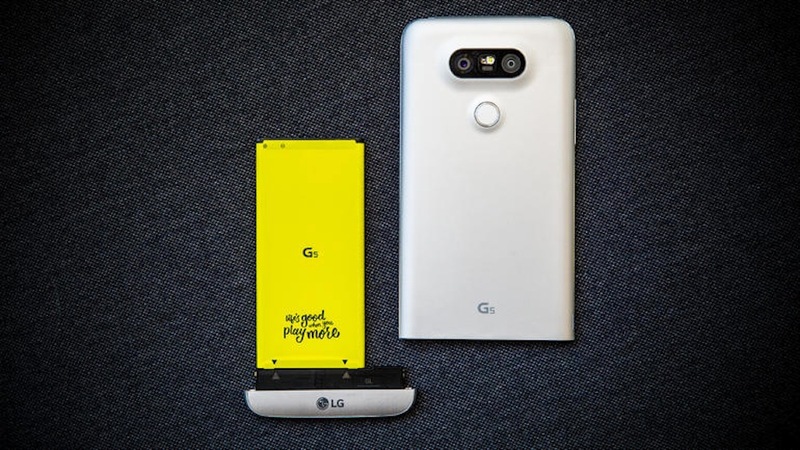 The LG G5 is a semi-modular device. What does this mean? The phone allows you to swap out certain parts and replace with other modules to provide additional functionality. Its semi (as opposed to full on modular) as LG has restricted what parts can be swapped out. We will take up the modularity issue later in the review. Let’s look at the phone. For all the tech geeks here come the specs….. 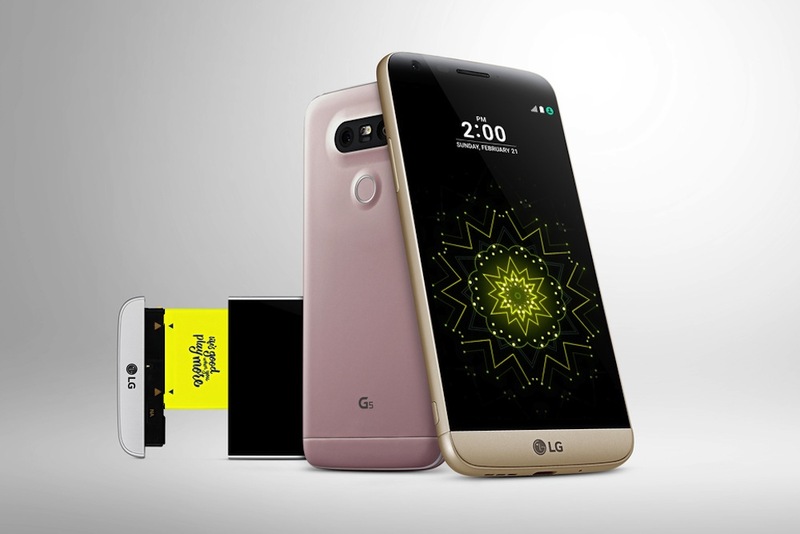 The LG G5 has a 5.3 quad HD Quantum IPS display. This was the same display used on the G4 however the pixel density on the G5 is higher due to the screen being smaller that last year’s model. Running things is Qualcomm’s latest piece of silicon the Snapdragon 820 processor paired with 4 GB of RAM along with 32 GB of internal storage with micro SD expansion. The G5 ships with 2800mAh battery chargeable via USB type C (for those that are not familiar USB type C is the new USB standard that is being rolled out). The phone has rapid charging, in the form of, Quick Charge 3.0 which can give you 80% of battery in 30 minutes. The phone has a dual-camera set up that allows the user to switch between the two cameras. One lens provides you with the standard view the other provides a wider field of vision. To the bottom of the device – the “chin” slides off allowing the user to remove/exchange the battery or attach one of the modules. Aesthetically the G5 is not a bad looking phone. Conversely it isn’t a particular good one in my opinion. Next to my S7edge the G5 looks rather pedestrian however looks are a subjective thing so some may like the design. This year the G5 has a full metal aluminium uni-body design – following the current trend for either all metal or a combination of glass and metal smartphones. 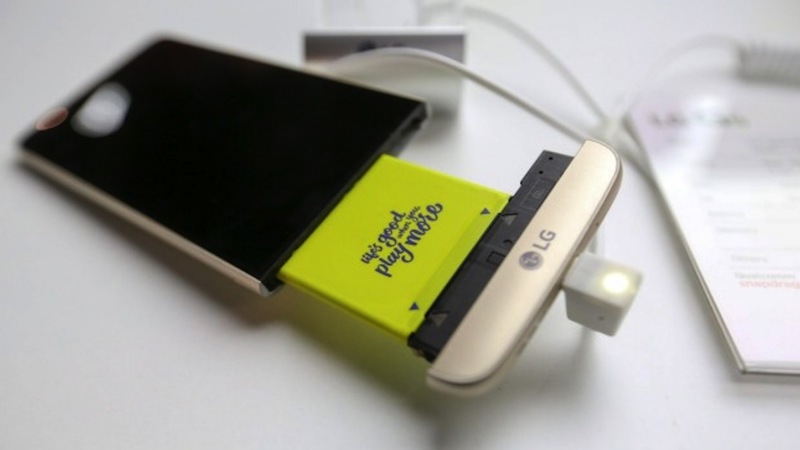 LG have treated the phone with a primer where pigment containing tiny metal particles is applied to the phone. The result is a smooth finish (no visible antenna lines) and a more durable device. The result is that when you hold the phone it feels like it’s made of plastic rather than metal. This is problematic as the phone feels less premium in the hand when compared to say a S7 edge or the iPhone 6s. The G5 has 2 camera units at the back of the phone, a 16 megapixel shooter and a wide angle 8 megapixel shooter which you can switch between very easily (simply by pressing icon with one tree for the 16 megapixel lens or press icon with several trees to use the wide angle lens). The wide angle lens is capable of a 135 degree field of view – great for taking those Instagram shots of all yourself and all your homies in “da club”. LG continues to provide a great camera experience that it delivered in the G4 and V10 (V10 was not available in the UK). For me the pictures are acceptable however I prefer shots I get with my S7 edge or iPhone 6s. Software wise the G5 is running LG’s UX 5.0 on top of Android Marshmallow 6.0.1. This is one of my favourite parts of the phone and most improved in my opinion. Typically LG’s stock software is a mess a cacophony of annoying animations and sounds that normally I get rid of as soon as I get the phone out of the box. This year the software experience is more refined as LG has paired the UI back. They have also removed the app draw – what this means is that apps when downloaded will remain on screen in a similar fashion to say the iPhone. This is unusual in western markets for android phones (this is the norm for android phones sold in China). I don’t mind this arrangement however if it irks you LG UX 4.0 can be downloaded to reinstate the app draw. Now to this device’s USP its modules or LG Friends as they are known. You can remove the bottom of the phone and replace with one of several modules. Presently in the UK I have only seen one module the LG Cam Plus (and that seems to be a O2 offer exclusive). This is a camera grip that adds some physical buttons and provides additional power (1,200mAh) to the battery. The other “Friends” appear to be very elusive in “physical” shops but can be purchased online from retailers such as Clove. The idea of giving extra functionality by providing an eco-system from which the customer can “build” their own bespoke device that suits their particular needs should be applauded. LG is thinking out of the box. However where the company falls down is in execution. The shift to modular design has had an impact on design, for example, the removable chin at the bottom of phone does sit flush with the phone adding to the less premium feel. Further, whilst swapping modules isn’t hard the process feels cumbersome and that there is room for improvement. Overall the G5 isn’t a bad phone. The phone is a good performer that offers something truly new and unique in the smartphone space. Unfortunately being the first means that this innovation comes at a cost. 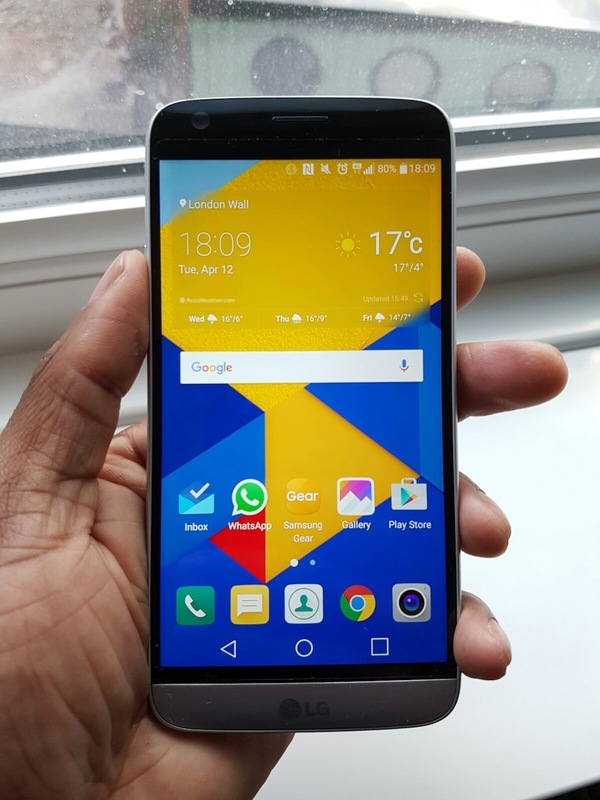 The G5 does not feel as complete and as well rounded as the S7 edge or an iPhone 6s however LG should be commended for taking a risk and trying something new. The LG G5 is urban nerd recommended! Ideal for tech geeks and those wanting something different for the mainstreamers out there I would opt for the S7 (or S7 edge) or the iPhone 6s over the G5. 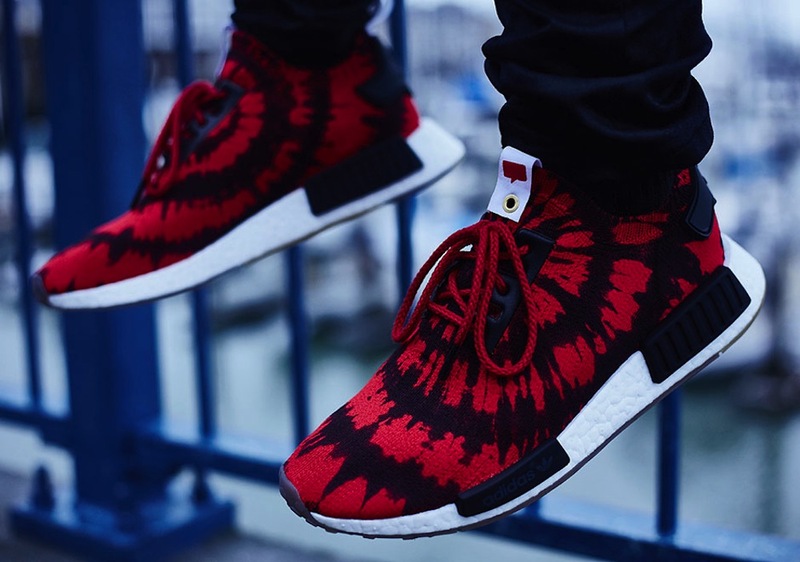 My pick of sneaker this week – Adidas NMD. 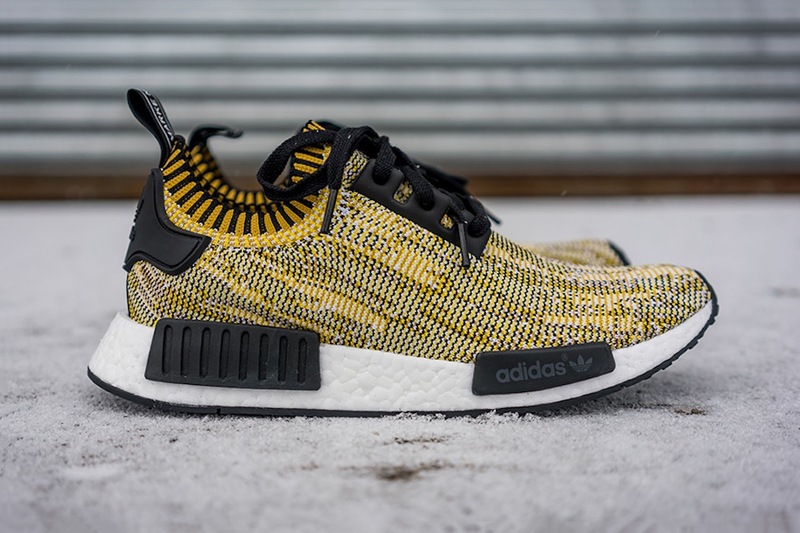 Using the momentum and cultural capital the brand built in 2015 with its collaborative kicks – Pusha T’s and Yeezy’s – Adidas is seeking to build on this with the NMD line. We are only just into the second financial quarter of 2016 and there have been several NMD drops from Primeknit to the Chukka’s. The NMD line has all demographics covered from the discerning “sneakerhead”, to the athleisure gym crowd to the normal person on the street. I own several pairs – my favourite is the Primeknit. The Primeknit has a sock like upper and Boost sole. The kick has, along the mid-sole, colour blocked panels. The whole design is futuristic whilst retrospective at the same time. Kudos Adidas! The shoe is lightweight and is….COMFY. All hallmarks of what we have come to expect with Adidas and the Boost technology. My only reservation is that with so many drops will the NMD line be the “huarache” of summer 2016? Only time will tell. My next tech pick up will be the HTC 10….